Salinas, Calif.-based True Leaf Farms, the processing division of Church Brothers Farms, will be using Salinas-based SmartWash Solutions products on all its wash lines, organic and conventional. The technology allows for the control of wash water chemistry and the tracking of wash line efficiency, according to a news release. 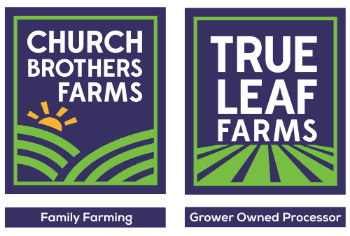 “We chose SmartWash for three reasons,” Drew McDonald, vice president of quality and food safety for Church Brothers and True Leaf, said in the release. “First, we have spent significant resources developing our state-of-the-art wash systems and we want to make sure we are operating at the highest level of food safety control. The expansion of True Leaf’s use of SmartWash represents the next step for the company’s food safety program, according to the release. SmartWash Solutions is a division of Salinas-based Taylor Farms.